PlayerUnknown's Battlegrounds is the definitive battle royale shooter, pitting 100 players against each other in a struggle for survival. Starting with nothing, players drop into battle and must fight to stay alive while searching for weapons and supplies as the map shrinks and the combat intensifies. 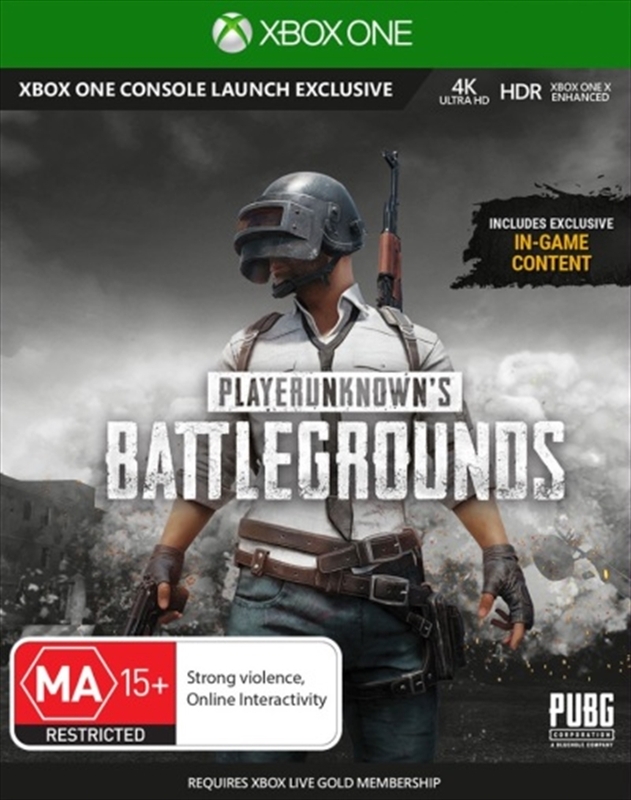 Spanning a variety of thrilling and immersive environments that uniquely change the style of gameplay and survival tactics PlayerUnknown's Battlegrounds is not just a game - this is battle royale. Starting with nothing, players drop into battle with up to 99 other players and must fight to stay alive while searching for weapons and supplies as the map shrinks and the combat intensifies. This full Product Release game includes 3 maps: the original game map, Erangel, the desert themed map, Miramar and new to the 1.0 release the 4x4 tropical themed map, Sanhok, featuring all-new weapons and vehicles. Begin with nothing and develop into a powerful soldier as you explore, loot and gear up for intense combat across a variety of maps featuring different environments that require new survival and combat tactics. Uncover a wide variety of weapons and armor for an authentic and visceral combat experience. Spawn into the world alone and rely on your own tactics and skills or team up with up to 3 other players in duos or squads to increase your chance of survival.